Even though there are no signs of spring, my taste buds are ready for some lighter, greener fare. This recipe from Eating in Color is really easy to make and you can skip the shrimp if it’s not your favorite. 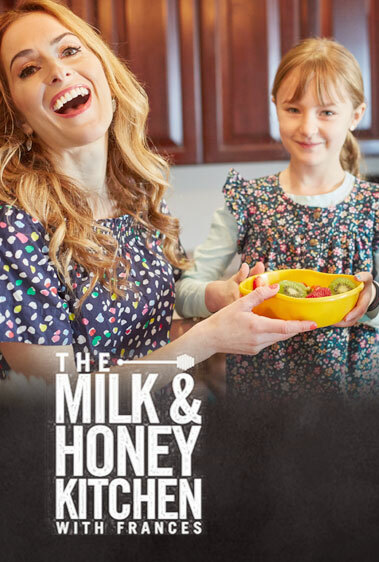 Or put it on the side if your kids aren’t big fans. This recipe shows how a little bit of butter (1 teaspoon!) can really help make a dish much more rich tasting. I used garganelli instead of penne tonight, just for a change. Try it! I bet you’ll convert the pea haters in your house! Bring a large pot of salted water to a boil and cook the penne according to the package directions. Drain. Place the peas and enough water to cover in a small saucepan and bring to a boil. Cook for 5 minutes, then drain the peas. Combine the hot peas with 1/8 teaspoon of the salt, the butter, mint, 1 tablespoon of the cheese, and 1 tablespoon of the oil. Set aside and keep warm. Meanwhile, in a large sauté pan, heat the remaining 1 tablespoon oil over medium-high heat. Grate the garlic into the pan with a Microplane grater and cook for 1 minute. Add the shrimp and season with the remaining . teaspoon salt and the pepper. Cook the shrimp for about 2 minutes per side, until pink. 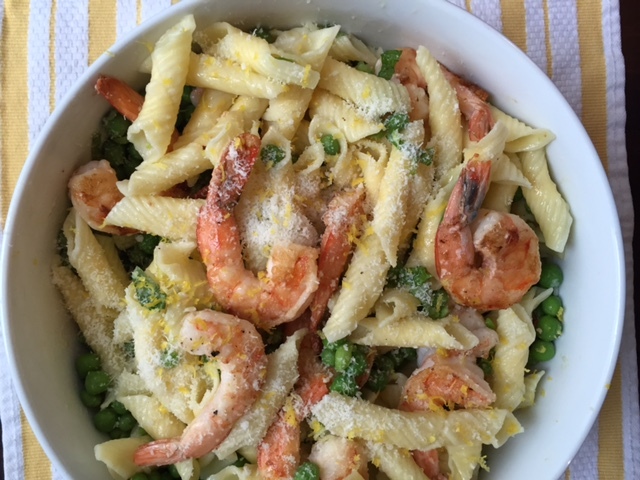 In a large serving bowl, toss the hot shrimp with the penne and peas. Sprinkle with the remaining 1 tablespoon cheese and the lemon zest, and serve.